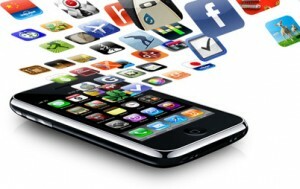 As time goes on, it is clear that the world is becoming more technologically dependent. But have you ever thought about how nonmedical technology affects one’s death rather than one’s life? Recently, there have been several applications and tools available through both Facebook and the Apple AppStore that can offer assistance in planning one’s death. These programs range from allowing one to write their will to storing private family information that is later used in legal matters. The will is one of the most important documents one can provide post mortem; it lists who inherits what property. Now, one can begin writing or edit their will as many times as they want with the “MyWill” application, a free program that can be downloaded through the Apple AppStore. The user is able to assign certain pieces of property to certain heirs. It also allows the user to assign a new legal guardian for their minor children! A living will is different than a normal will in that a living will outlines critical healthcare decisions in advance. Thus, if the user is unable to communicate and is in a critical medical condition, this application can be used to access the patient’s wishes regarding medical treatment. “iLivingWill” is a $0.99 iPad application that allows one to do just that. “If I Die”is a program available on Facebook that allows users to record a message to loved ones and friends if they were to die unexpectedly. The user can choose up to three people to send this recording to via Facebook message. Another free app that is available is called “Funeral Advice”. It provides video tutorials that allow one to essentially and interactively plan their own funeral. This application guides one in the right direction by suggesting funeral homes, casket choices and steps to take after losing a loved one. “Death Meter” has been criticized by many people for its lack of credible information. This program gives one an approximate idea of when they will die based oninformation inputted by the user. This program takes into account hygiene, diet, family history and daily activity. There are multiple other websites that serve the same purpose. After reading this article I felt a little “creeped out”. It’s one thing to talk to someone about your death personally with a lawyer and/or funeral director and plan out how you want the ceremonies and legal aspects to be carried out. But the fact that someone can whip out their iPhone on a subway on their commute to work and write a will or allocate their assets is a little too close for comfort. Although some may be skeptical of these tools, programs like these make people more aware of death because its implications and guidelines are accessible at any moment. Several months ago I saw Gus Van Sant’s 2011 movie Restless for the first time. I admit I was originally drawn to it because Henry Hopper, Dennis Hopper’s son, was playing one of the leads and I was curious as to what the son of director and costar of Easy Rider fame would bring to the big screen. As I watched, however, my attention was drawn to the presence of death in the film and the differences in the way those who have to face their own passing and those who have to face the death of a loved one deal with it. Restless follows the story of two young adults, Enoch and Annabel, who both have had more than their faire share of experience with death. After meeting at a funeral Annabel was attending and Enoch crashing, the two develop a relationship. However, because Annabel is suffering from a brain tumor the two are only projected to have three months together, during which time they are forced to come to terms with Annabel’s imminent death. Annabel has a calm understanding of her situation right from the beginning, while those around her are much less accepting and are sometimes even frustrated by her seemingly blasé way of talking about her own death. Throughout the film it’s clear that living with the constant presence of death, whether in the form of another patient’s funeral or her own prognosis, has drastically changed her view on life. At one point while talking with her sister, Annabel says that only having three more months doesn’t really both her since in the large scheme of things the existence of humanity itself is just a small speck on the universe’s timeline. Many times she also mentions that there’s a type of songbird that thinks it dies every time the sun goes down and sings in happiness every morning when the sun rises because it realizes it’s still alive. Enoch on the other hand was never able to properly grieve the death of his parents, resulting in unresolved anger and an inability on some levels to deal with death. Though at first it seems he’s accepted that his girlfriend only has 3 months to live, it becomes clear later on that what seemed to be acceptance was really denial. The final half hour of the film focuses on his coming to terms with Annabel’s approaching death, partially facilitated by his interactions with his “ghost friend,” a kamikaze pilot called Hiroshi with whom he talks and plays battleship. While rewatching the film this week there were two points in the film that especially made me think of discussions we’ve had in Death and Burial this semester. About halfway through the film Annabel mentions that she’d like to donate her body to science. Enoch is very unhappy with her decision and states that he doesn’t like the idea of people cutting her into pieces and “putting her eyes in jars.” This made me think about the potential effect on family members when someone decides to donate their body to science or for organ donation. Do most people consult their loved ones before making that decision? Should loved ones have a significant say, since in the end they’re the ones who are really affected by what happens after death? Later on in the film Enoch and Annabel rehearse a “death scene” they’d prepared for Annabel. She’d planned out precisely how she wanted to die. This reminded me of the way medieval good deaths were organized and also how some people plan out their funerals ahead of time to the last detail. I did find it somewhat odd that she was planning out her death scene, not her funeral, though this does go back to the importance, even today, of the moment of death in how an individual’s death is viewed. Many films contain death-related material, but not many flat out address it as Restless does. Often when a film’s focus is death the film is somewhat confrontational, while Restless managed to introduce and discuss the concept in a surprisingly open and comforting way. There is a certain fascination with the idea of mummies. The fact that they are so old, yet extremely well preserved makes them an interesting area of study for scientists. In a recent Discovery Curiosity special, this was just the topic of research. The special, titled “I Was Mummified”, chronicles the journey of a terminally ill Alan Billis who donated his body to be mummified in the name of science. Dr. Stephen Buckley, the scientist in charge of the project, had been studying the way of embalming that took place in the time of Egyptian pharaohs. First, he chemically analyzed the compounds found in and on mummies. Then using only materials that would have been available back then such as linen, beeswax, sesame oil, and salt, Buckley performed as many as 200 experiments to perfect the process. The only thing left to do was to test out his seemingly perfected method on a human. Shortly after his death, Alan Billis’s process of becoming a modern day Pharaoh had begun. His internal organs were removed through a small incision in his abdomen. The only thing left was the heart, because the heart was thought to perform the functions that we now know the brain performs. The brain was also left undisturbed, contrary to popular belief that the brain was removed through the nose using hooks. The body cavity was filled with linen balls to preserve fullness. The incision and body were sealed using a beeswax and sesame oil mixture. Then in order to draw the moisture out of the internal tissues, Alan was placed in a natron salt bath for 35 days. This process helped to set the body fat in a new stable form. He was then placed in a heated chamber to dry out for two weeks. Finally, he was wrapped in linen and left to dry out for six more weeks. After these six weeks, he was partially unwrapped to be observed. He appeared dark, but still resembled himself. Decomposition seemed to have been halted, his skin was hard and leathery rather than soft and slimy as would have been expected without the process of mummification. The scientists had succeeded. This was so amazing to me. The fact that scientists could recreate the methods of the ancient Egyptian embalmers is a testament to modern day science. However, the even more incredible fact is that thousands of years ago people had this knowledge, which allowed them to preserve bodies that are still around today. Ritual mummification was crucial to the Egyptians because it allowed the body and soul to reunite in the afterlife. Even though, today it was not so much a ritual as it was a science experiment, learning about the ritual lets us clearly see the time and care that was put into preservation of the body. This is still done today with our less intensive form of embalmment. In order to make modern day embalming a seemingly normal practice, we tend to place our reasoning for this technique in past accepted funerary practices, like mummification. 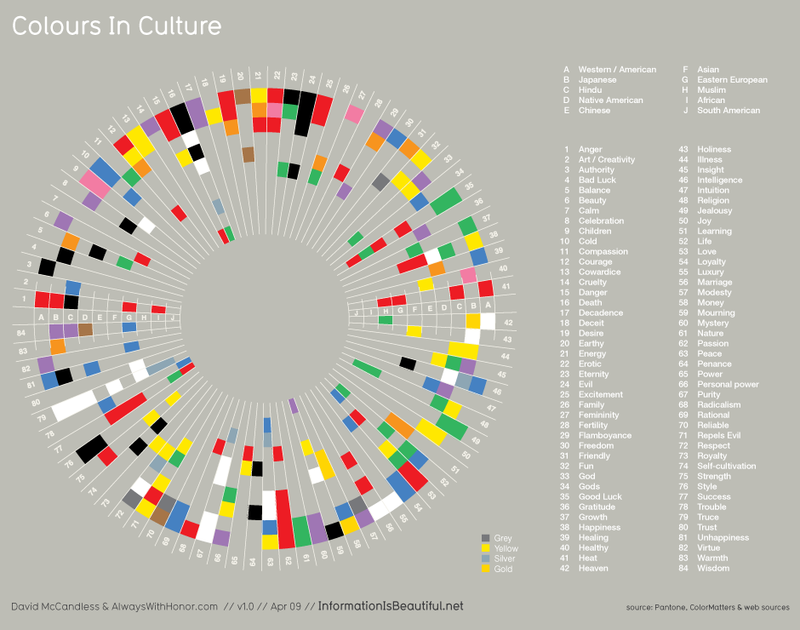 This is the infographic I was telling you about yesterday. As I said, it should be taken with a grain of salt, but it is interesting nonetheless. Enjoy! Imagine going to your sister’s house to investigate a possible intruder. After a brief struggle with the intruder, you fire your weapon and the intruder collapses. You immediately pull off the mask of the intruder only to find that the intruder is your son. This seems more like an urban legend than actual reality but this is just what happened in Connecticut last month. Jeffrey Giuliano who lived next door to his sister hurried to his sister’s house one night after receiving a frantic phone call that someone was trying to break into her house. Upon walking outside, he saw the intruder, who was holding a knife and quickly discharged the firearm after an intimidating confrontation. Unbeknownst to him it was Tyler Giuliano. Grieving is a natural part of losing a loved one but with grief comes several other emotions. Accidental death is traumatic. It conjures feelings of guilt because the question of prevention seems to arise. Guilt is an expected stage of grief but it takes a more profound role when one assumes the responsibility for someone’s death. In this case, Giuliano’s accidental murder of his son is most traumatic because it could have been prevented. Who was at fault? Was it the teen’s mistake because he pretended to burglarize his aunt’s home and charge toward his father in an intimidating way? On the other hand, was it the father’s fault for taking things into his own hands and not letting the police handle the problem? One thing for certain is that a life was lost at an unfortunate cost. A little prank cost Tyler Giuliano his life; and Jeffrey Giuliano’s attempt to protect himself and his sister cost him his son’s life. I think that this is a tragic event. Not only did Jeffrey Giuliano lose his son but also he has lost his peace of mind. I can only imagine the emotions running through his mind. Guilt, sadness, depression, even thoughts of suicide may be issues that he struggles with for the rest of his life. Death is already hard to deal with. Adding guilt or responsibility to the death of a loved one makes it even more difficult to carry on. How will he carry on? I assume that Jeffrey Giuliano will seek counseling to help overcome the extreme feelings of guilt. The worst part of this entire situation is that there will always be unanswered questions. This tragic event does however serve as a warning for others who think of playing similar pranks. What is it people want most at the end of their lives? Is it peace? Or more time? I just watched Disney’s Tuck Everlasting (2002), based on the children’s fantasy novel published in 1975 by Natalie Babbitt. The story focuses on Winifred Foster, a fifteen-year-old girl from a wealthy family and strict household. Winnie runs into the woods out of her life of frustration and boredom to discover the Tuck family, who drank from a magic spring and became immortal. Apart from exploring themes of immortality, life, and death, Tuck Everlasting presents dualism of fear. Simultaneously, the movie ceaselessly challenges and redefines the definition of a lived life. Finally we see how ritual is as natural as the life cycle itself. Tuck Everlasting (2002) presents a dualism of fear: fear of death or fear of an unlived life. Commonly people might say that they are scared because they don’t know what is behind the black veil or of leaving the earth unaccomplished. Nevertheless, the film poses a scarier thought: the unlived life. At the words of Winnie, the film suggests that living fully involves doing everything you can and what you want at a slow pace. Even so, the main point to take home is that living also involves dying; dying oneself and experiencing death of a loved one. For example, Miles Tuck lives in regret and bitterness, wishing he could have died with his family. His immortality obstructs his death, and he becomes a “rock stuck at the side of the stream”. It’s as if his life is one long sentence without a period, forever expanding but never finding closure. Death is natural and it must occur in order to have lived. To further illustrate is the scene of Winnie’s grandmother’s funeral. Winnie watches her grandmother be buried and she sees her mother crying. Her realization is two-fold: Dying is natural and unlike Miles, she and her mother will eventually pass too. This must have been the realization that kept her from drinking the immortal water. Although this is not emphasized, we see the importance of ritual in the funeral scene and in the scene where Mrs. Foster mourns. Not only is ritual a way for mourners to remove themselves from social order and expectations, but their removal from society is as natural as life. Humans are designed to feel emotion and express it, and death rituals serve this process. Thus, ritual becomes a symbol of cyclical life itself. Although, Tuck Everlasting (2002) may be underlined by cheesy romanticism, cliché aphorisms, or hokey mottos, it is an honest film. Ultimately it reminds us that we don’t have to live forever, we just have to live. So get out there and seize the diem. Mummy Monks in the Czech Republic? We usually associate mummies with Egypt however; you don’t need to be a pharaoh to be mummified. In Brno, Czech Republic there are mummies. Mummification happens when you have an environment that allows very little bacteria to grow and therefore the flesh dos not decompose, as we learned in class a few weeks ago. This only partially decomposes the body, and gives a “tanned” effect. The mummification of the monks in Brno is not like the mummies of Egypt. The mummies of Egypt have been mummified by wrappings and preparation, they where meant to be mummified. The monks in Brno were mummified by accident. When I say Capuchin I don’t not mean the monkey; the Capuchin is an order of monks found around the world. The Crypt and church in Brno where founded in the mid. 17th century. The crypt of the Brno monastery is located in the basement, which is probably basement space left over from houses originally in that location. When the monks died they where brought to the basement in a coffin on a mobile gout. The coffin used was the same coffin used for every monk for one hundred years. Once there, they where lain down with a few bricks below their heads. The monks where located in the crypt below the alter. This placement below the alter is very symbolic in the Christian faith, in the bible it states that below the alter of God in heaven lie the souls of the Saints. The monks were not meant to be mummified but due to the environment of the crypt the monks where mummified in place. The church is still standing today and you can go and view them in the same position that they where lain when buried. The entrance is located behind the church in a small white courtyard. 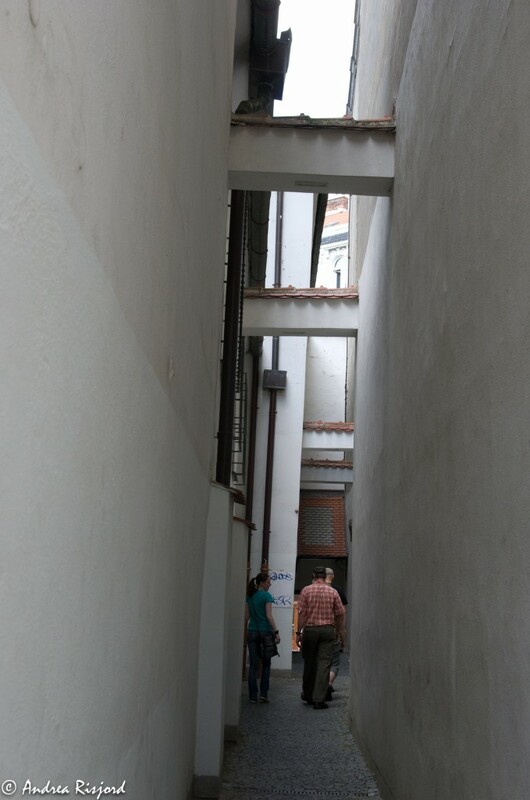 It is reached by walking through abnormally (by today’s standards) narrow alleys with whitewashed walls and small beams holding lanterns high above the street. Some of the monks have the hoods of their cloaks pulled up over their heads to symbolize a special unit within the Capuchin order. Other monks are buried with objects. There is a monk who was buried with a rosary and a wooden cross signifying some status that he held in life. Mummification did not only happen to the monks, other members of society where placed in the crypt and where subject to the same mummifying conditions. 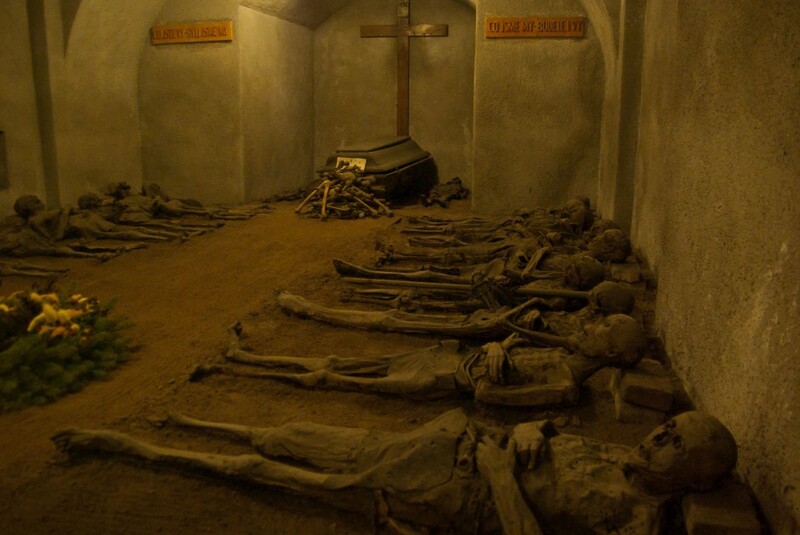 If you go to the monastery today you can view all of the remaining mummies in the crypt, there are about 25 monks and a handful of townspeople of various class. You can see a high class family that was mummified in all their finery as well as some choir boys and a doctor. There is also the body of a Saint in the crypt in Brno. 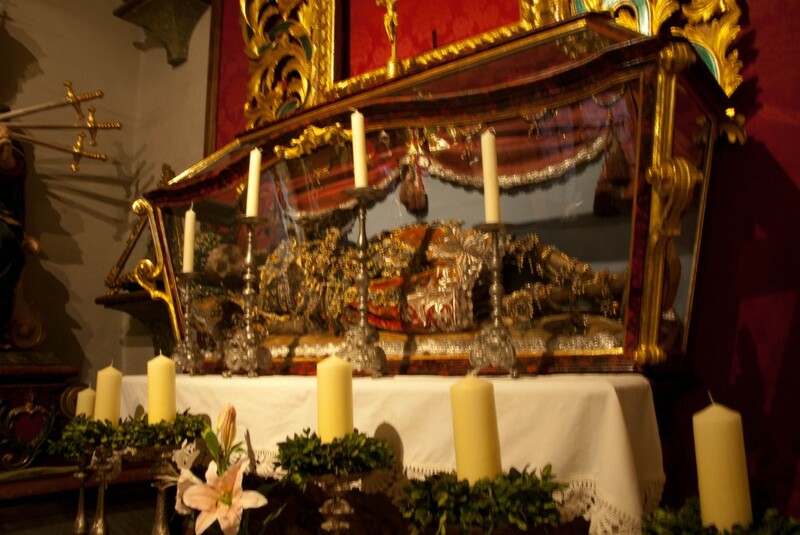 this particular Saint is prepared in the “Spanish style.” She is dressed up in clothing that shows the bones. Saints bones are very important because thy are primary relics of the Siant. Having the whole body of a saint would be really important as well because that saint would be the church, monastery, and even the town’s patron. The patron saint of a place, in the middle ages, would be the protector of the people against all enemies, divine or mortal. This saint has been placed in a glass coffin to allow visitors and pilgrims to see the body but not to touch it, increasing the otherworldly sense associated with the divine. To me this is interesting because I wonder how the people of the community viewed the mummified bodies from a spiritual standpoint. The fact that the crypt held the remains of monks, commoners, and a saint is also unsual. In the middle ages a saint’s remains where placed in a high ranking location to be viewed and worshiped by the people, not near the bodies of the locals. This change in the organization of the crypt is obviously changed for a museum set-up but It is still curious that all of these bodies where found together in the same location. Almost all the information on this monastery and church is in Czech, a language that I do not speak, however it is interesting to think about how the community would react to finding members of their community mummified in the crypt of the church. As westerners we see mummies as foreign. What happens when our own people are mummified? Does this change how we see the dead? Is a dead person just a dead person or does the state of their corpse affect the way we see the person? Does it affect the way we see the death? If you are not expecting a body to be mummified, how does that affect how you deal with the death? If, in the future, we discover that out relative that we had buried as a child had been mummified; how would this affect our grieving process? Would this change our perspective on this person or their death? While there is no denying that this episode is extremely offensive, it is also making a political statement. By exaggerating the amount of medical technology required to maintain Schiavo’s body, MacFarlane shows how low he feels the quality of life is for someone in a persistent vegetative state and how vital the brain’s role is in determining life. MacFarlane takes a very serious and highly contested situation and uses humor in an attempt to show how ridiculous he thinks it is to keep someone on life support when they have been diagnosed as brain dead. His use of humor also seems to eliminate the gray areas in this debate and leaves us with a black and white picture of what he thinks is right: brain death is ultimate death and it is not only constitutional but also ethically responsible to remove life support. The ridiculous notion of a musical about the Terri Schiavo case shows how ridiculous MacFarlane believed the situation to be in the first place. It was not simply the episode that was offensive, but also the timing. 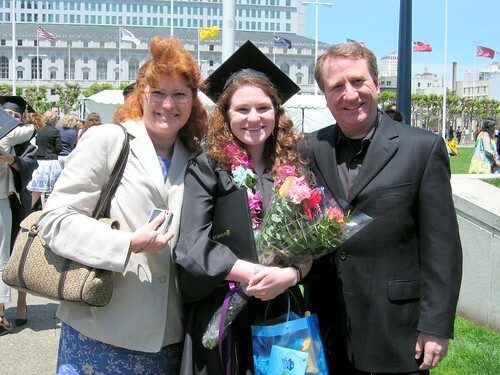 By airing the show so close to the fifth anniversary of Schiavo’s death, the episode was addressing a very sensitive subject at its most sensitive time. In posing the question at the beginning of the scene as to whether or not it was too soon to produce this musical, another question is raised: when is it appropriate to joke about upsetting, controversial topics? According to statistics, approximately 38 to 50 percent of college students have lost a close relative or friend within the past two years. Unfortunately, because many students do not see grief as a mental health concern, they usually do not seek any form of counseling or help. Grief, however, can negatively affect school activities. In the article, Peterkin quotes sociology professor Heather L. Servaty-Seib, who states, “On college campuses, the focus is so much about fun, growth, learning—it’s high energy. Having a death loss really sets you apart at a time you don’t want to be set apart or be defined by a life event.” Bereavement often causes students to leave school for an extended period and therefore to miss important lectures and deadlines. Additionally, students also begin to do poorly socially because they are unable to keep up with the high energy perpetuated by college life. In order to support students, many schools have created policies that have given students a chance to grieve without negative effects to their academic lives. Some have allowed students to take a leave of absence without penalty provided they have a certificate of death or other medical letters. Other schools have developed policies that mandate professors give make-up work for bereaving students. Although these policies are definitely necessary, at least to help students in their grieving process by reducing stress, they can also be limiting. For example, many policies only allow excused absences for deaths within the immediate family, and only after a record is provided. But what about the deaths of close friends or important extended family members? Do those deaths count less under these policies? Also, what if universities or colleges lack the appropriate funds to create additional counseling or groups for students? Is the university still responsible for student grief if these resources are not available? Of course, these questions are not meant to justify taking away any bereavement policies in place. Rather, they speak to the inherent obstacles that could prevent schools from implementing them. Scene from "Plan 9 from Outer Space"
But, despite the fact that Ed Wood’s lofty intentions for his film were so horribly crushed by its sheer terribleness, there is still something about “Plan 9” that is striking. There is a lot of truth in the idea that people are horrified by the dead, and especially by the not-quite-dead. Our fascination with zombies, in shows like “The Walking Dead,” in the ever-growing list of zombie movies, which has become a horror genre in itself, or even in classic horror tales like “The Monkey’s Paw,” reveals our fear of the “living dead.” Even in cases where zombies are portrayed as ridiculous (as in “Zombieland,” or this episode of “South Park”), there is still a sense of horror associated with the idea of mindless eating machines that were once human, but are no longer alive, nor quite dead.